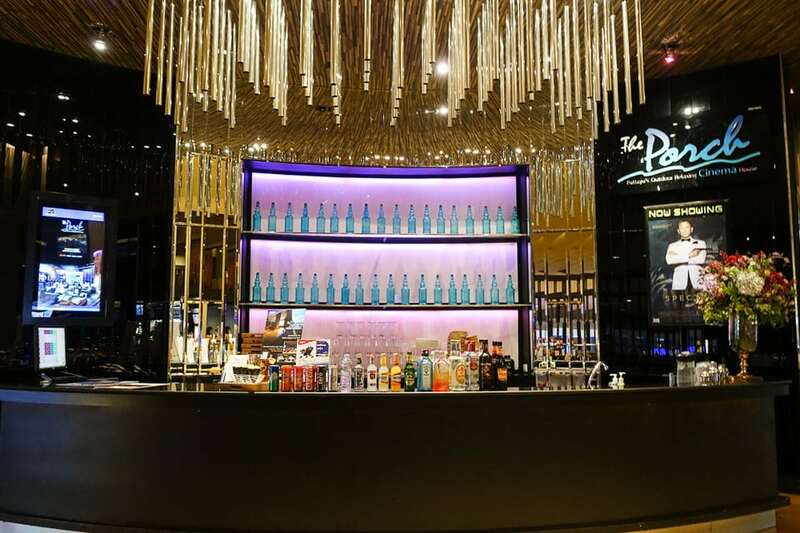 Taking up an impressive section of Pattaya real estate between Beach and Second roads, the Central Festival Pattaya Shopping Mall is the preeminent shopping destination in the city. It has seven floors of shopping, dining, and entertainment available to visitors. The shopping mall is connected directly to the Hilton Hotel. The malls seven floor contain a wide variety of options to shoppers. If food is your thing, you will not be disappointed. The ground floor contains a very large food court as well was several fast food restaurants including KFC, Burger King, and McDonald’s. You’ll find a handful of food options on floors 1 – 4, with the Carl’s Jr. having one of the best views of the ocean of any fast food restaurant I know of. The main selection of restaurants is on floors 5 and 6 where you will find dozens of selections covering a range of food, from Japanese to Ice cream. The MK Restaurant seems as popular with the locals as Sizzler does for the tourists. For those shoppers looking to purchase some of the latest fashions, Central Festival Pattaya is the place to shop. They have a wide variety of brands available from popular Western name brands to great local brands you probably never hear of before. Some of the names you’ll find at the mall are Nautica, North Face, Guess, and many dozens more. Of course the Central Festival Pattaya Mall has more than just clothes and food. You can find just about anything you need there. Cameras, spas, pharmacies, and the 4th floor seems to have a bank branch and ATM machine for every Thai Bank. If you are in need of a new MacBook or any apple product the iStudio on the 3rd floor has you covered. Sports stores, books stores, heck if you want to buy a condo – there are people selling those too. 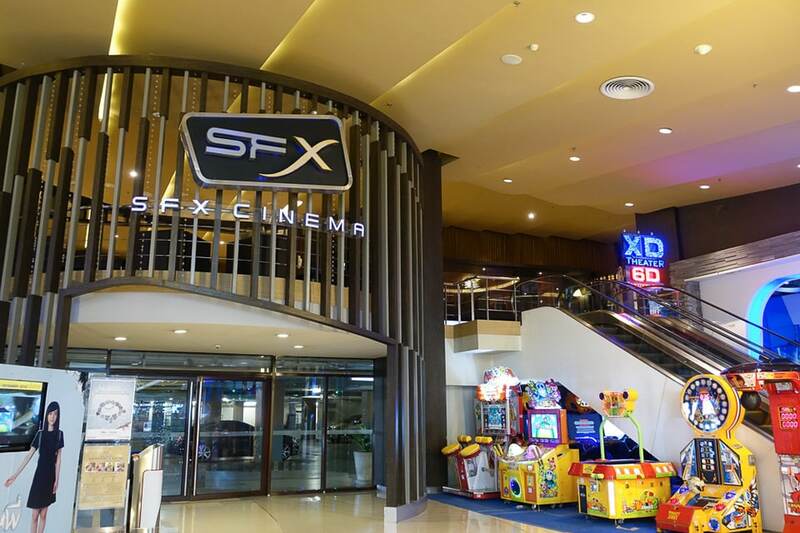 Central Festival has Pattaya’s best movie theater, the SFX Cinema with 10 theaters and a couple of high end touches. In addition to the regular cinema experience you can opt for the First Class Cinema or The Porch. The First Class Cinema is like watching a movie in your living room. Large lounge chairs, blankets, food and drink, all make up the First Class Experience. The other option is The Porch, an open air movie theater, which understandably may not be to everyone’s taste considering the weather in Pattaya. If you are looking for further entertainment, there is a bowling alley next to the theater, SF Strike Bowl Pattaya. The venue offers up 16 lanes of 10 pin bowling in Pattaya, lit with neon lights. A fun way to spend a rainy afternoon or quiet evening.